Volkswagen is currently hammering out a new joint venture deal in China with JAC Motor, specifically focusing on the production of all-electric cars. 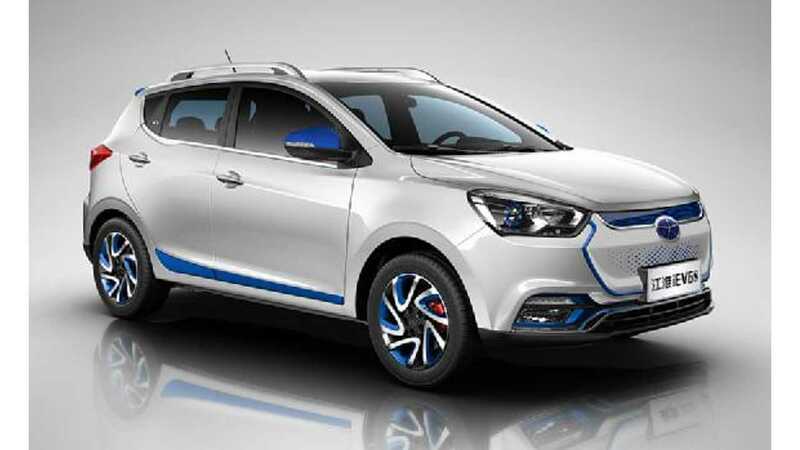 The German manufacturer currently already has two large JVs in the country with SAIC Motor and China FAW Group, so the latest deal with JAC Motor would give VW a trio of options to build EVs with...or perhaps play one JV against another for competitive reasons. It's expected that the formal agreement will be ready within five months, provided the two companies are satisfied with the outcome a preliminary feasibility study. Specific details of the plan are as of yet unknown. JAC Motor is ninth largest Chinese carmaker. "Volkswagen AG signed a preliminary deal with China’s Anhui Jianghuai Automobile (JAC Motor) to explore making electric vehicles in a new joint venture, the two automakers said on Wednesday. 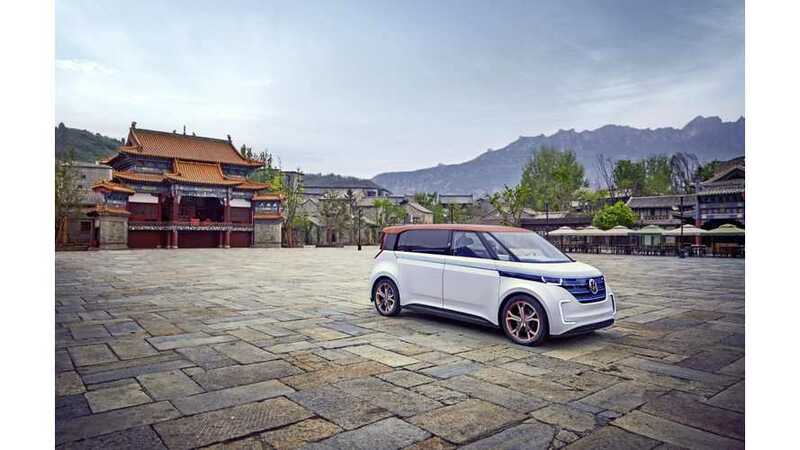 The two sides are studying the feasibility of a joint venture and aiming to sign a formal agreement within five months, JAC Motor said in a stock exchange filing." Volkswagen AG and Anhui Jianghuai Automobile Co., Ltd. (JAC) yesterday signed a Memorandum of Understanding (MoU) in Wolfsburg to define the next phase of negotiations between the two companies in order to achieve long-term cooperation in the joint development of all-electric vehicles in China. "As we aim to be at the forefront of e-mobility, Volkswagen Group is looking forward to explore all options to set up a close and mutually beneficial partnership with JAC. We believe this cooperation would not only benefit our two organizations, but would also be of great value to our customers, a sound environment and the Chinese society in general," said Matthias Müller, Chairman of the Board of Management of Volkswagen AG. According to the MoU the parties intend to enter into discussions to evaluate the perspectives and feasibility of a new joint venture company ("JV"), focusing on new energy vehicles (NEV), to carry out full scope cooperation in areas including research and development, manufacture, sales and mobility services in the field of NEV and parts in order to improve fuel efficiency. The top priority will be to develop zero-emission mobility solutions. Commenting on the agreement, Mr. An Jin, Chairman of the Anhui Jianghuai Automobile Co., Ltd, said, "We look forward to a full scope cooperation together with Volkswagen Group, focus on new energy vehicles, to provide Chinese consumers with highly cost-effective battery-powered electric vehicle (BEV) products that promote the development of the Chinese new energy vehicle sector as well as the Chinese auto industry's transformation and upgrading. The intended cooperation between JAC and Volkswagen Group can be called a ‘Creating Together' model, which embodies mutual benefit and a win-win situation. We hope to develop this cooperation into a brand new business model during the process of Chinese auto industry's opening up." "Together, Volkswagen Group and JAC will thoroughly explore all options how to concentrate our resources, including existing and future model platforms, technologies and other expertise, to achieve a competitive product strategy as soon as possible," said Prof. Dr. Jochem Heizmann, Member of the Board of Management of Volkswagen Aktiengesellschaft as well as President and CEO of Volkswagen Group China. "We at Volkswagen Group China are enhancing our efforts in terms of e-mobility to meet the demands of the customers." As part of its comprehensive new Group Strategy "Together – Strategy 2025" Volkswagen is also intensifying efforts for sustainable mobility worldwide. The Group will be launching a broad-based initiative for electro-mobility and intends to develop more than 30 new, purely battery-powered electric vehicles (BEVs) over the next ten years. Anhui Jianghuai Automobile Co., Ltd (JAC) is a comprehensive automobile company encompassing R&D, production, sales and service and other businesses related to the production and sale of commercial and passenger vehicles, including powertrains. It has two vehicle brands, "Jianghuai" and "Ankai". JAC's main products include: heavy, medium, light and miniature trucks, multi-function commercial vehicles, SUVs, sedans, buses, and core components such as chassis, gearboxes, engines and axle assemblies. source: Fortune, Bloomberg, Hat tip to Peter H!